With schools on 6 continents, utilized by leading industrialized nations and soon to be the national education system in China, the AMI Montessori curriculum seeks to improve education around the world. A comprehensive educational approach from birth to adulthood, the AMI Montessori curriculum is based on the 50 years of observation of children's needs in a variety of cultures around the world. Science continues to validate the Montessori approach and parts of it are often copied for integration into traditional education. Beginning her work almost a century ago, Dr. Maria Montessori developed this educational approach based on her knowledge of a child's physical development and observation of their educational needs at different levels of maturation. She grouped students into distinct developmental planes: birth-6, 6-12, and 12-15. For each of these planes she, working with master craftsmen, designed hundreds of manipulative educational materials to meet specific academic needs for each plane of development. She designed a classroom environment to accommodate the physical needs of the smaller bodies of children. Dr. Montessori also developed an intensive teacher training that focused on the use of these new materials, new classroom design and a very specific social structure to insure the social and emotional developmental needs of children were also addressed. 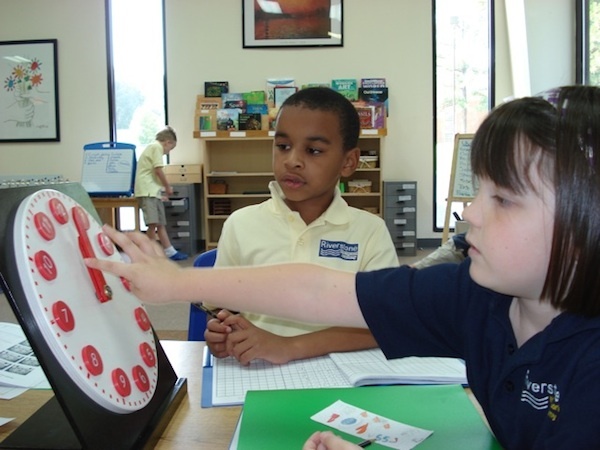 Dr. Montessori's curriculum is designed to address the individual experience of each child and maximize their academic potential. In the United States, there are more than 4,000 private Montessori schools and more than 200 public schools with Montessori-style programs. The Association Montessori Internationale (AMI), founded by Maria Montessori in 1929, maintains the original Montessori educational principles and acts as ambassador of Montessori philosophy and education throughout the world. How does this compare with the teaching philosophy of conventional schools? This is in stark contrast to traditional educational systems which were designed to accommodate political needs through the development of the "factory-model" of education. This design attempts to utilize a "one size fits all" approach with an uncoordinated teacher-training and a variety of unrelated curriculums across different subjects and grade levels. These random curricula are subject to the influence of administrators and policy-makers, not education and child development experts. Dr. Montessori's life-long scientific research identified principles of education necessary to create an environment for all children to find a means to be engaged and educated. This allows both remedial and advanced children to succeed beyond the traditional expectations of public education. Not only did Dr. Montessori create a unique learning environment, this is also a place where children learn in a happy, natural way. Her approach was designed to engage children in learning so that they love the process, rather than resist or become bored with it. Part of this process helps children develop skills of responsibility, independence and compassion which bolsters their self-esteem. Through this individualized, mastery-based approach, students maximize their potential and enjoy learning. Educational research of the past 3 decades continues to prove the effectiveness of the Montessori design. Most "advances in education" are repackaging of educational concepts that have been in use in Montessori classrooms for 100 years. The #1 Best Seller in the Education category for 2005/2006 outlines this research: Montessori: the Science Behind the Genius. You can download chapter one for free at: www.montessori-science.org/montessori_science_genius.htm.